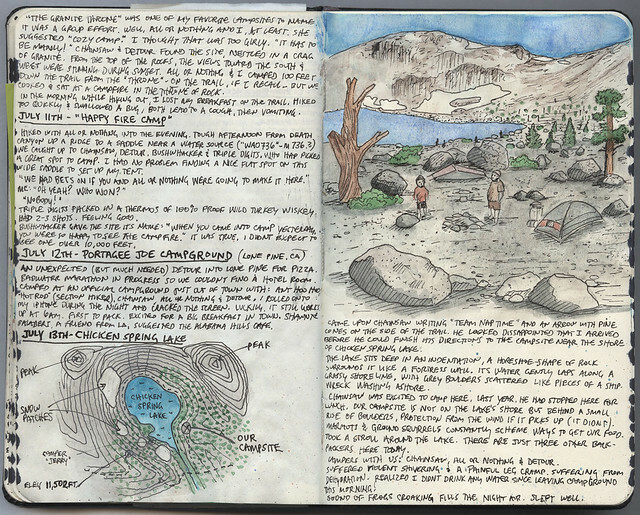 My fifth and final journal for the Pacific Crest Trail (PCT) is an appendix of sorts. 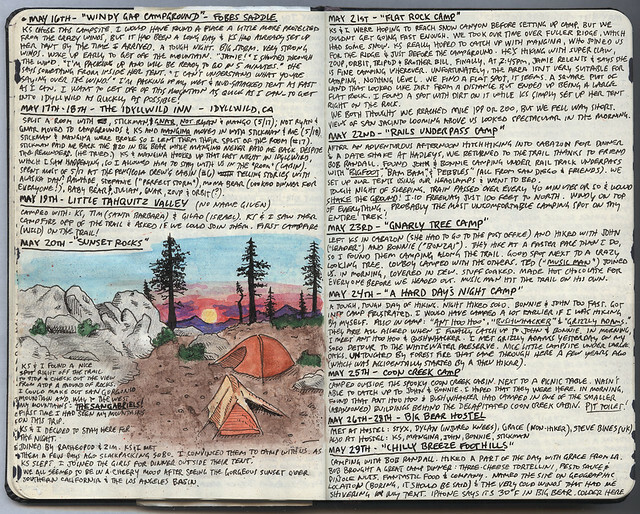 It was started after my final day on the trail as a journal for keeping detailed information and stories that might have just been touched upon in my other PCT trail journals. 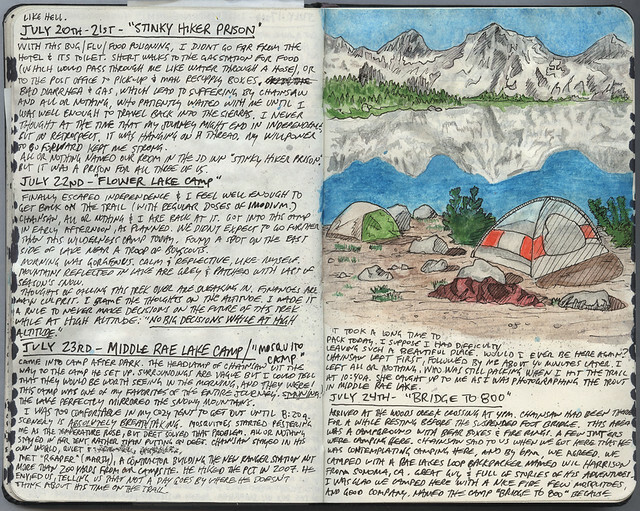 This journal also gives me a chance to experiment artistically. 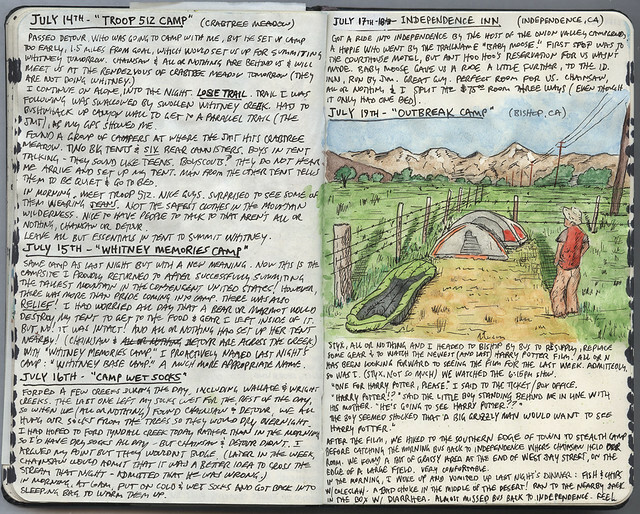 I wanted to paint a better picture on the campsites, both literally and figuratively. 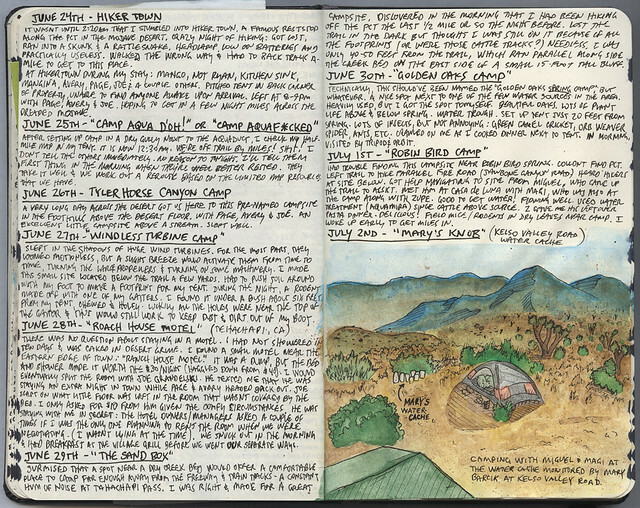 Here’s a few pages from the section on the campsites I stayed at on the trail, campsites that I would have fun naming along the way.